This mess just keeps getting deeper. NASCAR's spinmeisters better be working overtime. This Richmond thing doesn't look to be going away. The big mess NASCAR has been floundering in since those now infamous final moments at Richmond, Va., two weeks ago -- well, that big mess just got a heckava lot messier. Already billed by some as this sport's worst crisis of confidence in integrity, the controversy refuses to fade away, even as race teams head into Round Two of the championship playoffs here this weekend. 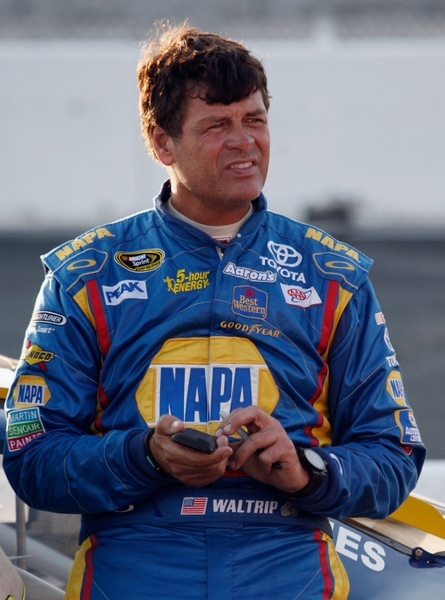 Long-time sponsor NAPA is now dumping Michael Waltrip because of his teams' attempts to manipulate the finish of the Richmond 400 and game more playoff spots for the Sprint Cup championship chase. The loss of the next two seasons of NAPA sponsorship will likely cost Waltrip and his three-team stock car racing operation more than $30 million. That's a big, big hit. And it comes during a stretch where any sponsorship is hard to come by. 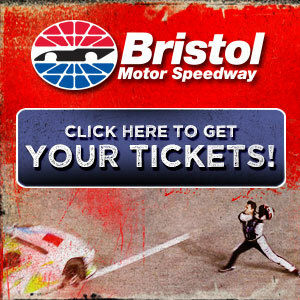 NAPA officials say the sponsorship will end at the end of this year. "NAPA believes in fair play and does not condone actions such as those that led to the penalities assessed by NASCAR," the auto parts company said in a statement. NAPA's next move is up in the air. But as an auto parts company, and long-time racing sponsor, NAPA will probably remain in NASCAR with some type of sponsorship. Certainly there are a number of quarterpanels that could use some big-money decals. And NASCAR itself is looking for major sponsor for its current Nationwide series, with Nationwide just announcing it would be dropping that sponsor. "NAPA has been with me from winning two Daytona 500s, to missing races with a new start-up team, and back to victory lane again. The relationship grew far past that of just a sponsor, but more of a partner and a friend. We will not be racing a NAPA car in 2014, but I have friendships that will last a lifetime. "To the fans and those who made their voice heard through social media, as the owner, I am responsible for all actions of MWR. I sincerely apologize for the role our team played and for the lines NASCAR has ruled were crossed by our actions at Richmond. NASCAR met with the competitors in Chicago and we all know how we are expected to race forward." Ironically, and perhaps sadly, the man most hurt by this latest twist is Martin Truex Jr., seemingly the one innocent. The NAPA sponsor is on his car. He did nothing wrong at Richmond...but the Waltrip organization . And also ironically the man whose Richmond spin is seen as the trigger for the whole deal, Clint Bowyer, remains essentially unsanctioned, and still professes his innocence. So far NASCAR's official responses have been late and lukewarm, and the new rules -- insistence that all drivers race at 100 percent -- don't appear to be nearly enough to resolve the basic issues. The sanctioning body was caught by surprise, for some reason, with the machinations at Richmond, though it certainly should have been sharper about possibilities of nefarious maneuvering. Every September for 10 years now, in the pre-race drivers' meeting at Richmond, drivers have been warned to play fair. NASCAR just took it for granted that drivers would play fair. This time, though, they didn't. And it all blew up in NASCAR's face. Audio from team radios was damning. First question -- why wasn't NASCAR monitoring more closely? 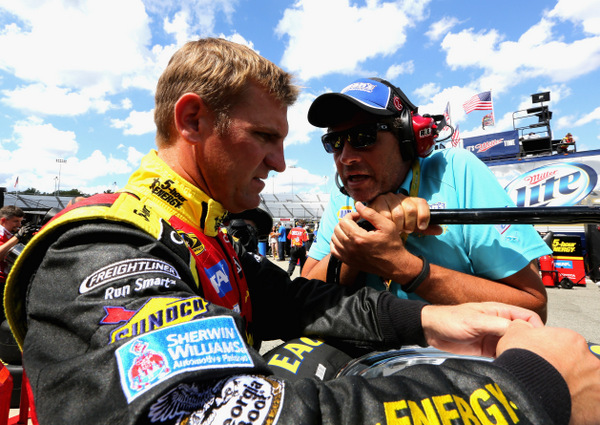 NASCAR curtly dismissed Bowyer's spin as just racing that Saturday night. Clearly the audio told a different story. Second, why wasn't NASCAR's reaction much more forceful? It took nearly the entire week for the sanctioning body to try to deal with the situation. And now there is still nothing in place really to preclude drivers from again trying to manipulate the game. This is the championship on the line, remember. NASCAR's argument that it couldn't prove beyond a reasonable doubt that Bowyer did anything wrong at Richmond simply isn't being bought by many fans. NBC, soon to be NASCAR's newest TV partner, at least took note of all this, on the NBC Nightly News Chicago weekend. But again NASCAR executives appeared a day late and a dollar short in their reaction. And evidence of NASCAR's -- dare we say it -- panic has been clear. It looks like NASCAR officials simply underestimated the situation and how it would be seen by the sports world at large. Clearly NAPA executives and 5-Hour executives see things rather starkly. Maybe Bowyer and crew chief Brian Pattie just made serious errors in judgment. But there was no game plan in place for NASCAR to be able to deal with that. The '100 percent' rule is rather silly on its face. In any other sport, insisting players play at 100 percent goes without saying. Why does this sport have to make that a rule? And how in the world is it really going to enforce such a rule? Would such a rule even have prevented the Richmond fiasco? And consider the depth of the Richmond debacle -- not only Bowyer's spin, and his extra long pit stop, and teammate Brian Vickers' stunning team orders to pit road, to alter the finishing order, but then the David Gilliland-Roger Penske issue too? How many other moves during the Richmond race, or the Atlanta race a week earlier, or in any of the races leading up to the chase, could be seriously questioned now? It's easy to say, now, that NASCAR should have -- and could have -- handled things better....more swiftly, for one, and more decisively, and more forcefully. But NASCAR, remember, has the curious philosophy that the race day 'winner' gets to keep the win no matter what, that the fans 'deserve' to go home after the event thinking they really saw what really happened. The Beginning Of The End of MWR? Submitted by Lance on Thu 09/19/2013 - 21:15. That's a lotta revenue to make up and who KNOWS how Toyota/TRD feels. Put the money rug from underneath them and them sink. Could NAPA, Scott Miller and Martin Truex, Jr head to RCR as a package deal to replace Budweiser & Kevin Harvick? What about Aaron's? Are they going to be the lame duck sponsor in all this? Submitted by Al Torney on Fri 09/20/2013 - 05:51. What I wonder is what happens at the next restrictor plate race when a few of the top drivers drop to the back and run 450 miles in the back when we know they are capable of running up front. They obviously will not be giving 100% of their ability. And you are absolutely correct in your statement about the stupidity of allowing a cheater to keep a win and everything that goes with it. How fair is that to the second place finisher? Submitted by Jay on Fri 09/20/2013 - 06:17. NAPA has always been one of the better sponsors in racing, From their Regal Ride shocks on the cars back in the 60s and 70s, The Daytona 500 win with Buddy Baker! Many race sponsorships,and over a decade as a full season primary sponsor.Out of despair can come opportunity!This company needs to sign Chase Elliott as soon as possible. He is destined for a long and winning career when he reaches the cup level! Might as well be winning in a NAPA #9 OR #94 entry. Submitted by Larry on Fri 09/20/2013 - 08:16. The biggest thing that upsets me is how Bowyer came out of this unscathed. As I understand it the penalty he got was for the regular season which didn't affect his point total or position in the chase. How in the world could Nascar not give him a penalty that means something? And, if Bowyer is so innocent why doesn't Nascar make him take a polygraph test? Yeah, I know in court polygraph tests can't be admitted as evidence but many companies use them including the company I use to work with who has terminated employees for failing a polygraph test. The only way I would believe that Bowyer didn't spin out on purpose is if he passed a polygraph administered by and polygraph expert and monitored by experts when it was given. I believe Bowyer spun out on purpose and cost his "good" friend a win and knocked him out of the chase. And, the Penske Deal is pretty bad too. But, for Nascar to have any credibility Bowyer should have been given a polygraph and Nascar should have given him some meaningful punishment. Evidently Nascar thinks he is guilty of something because they did give him some penalites but they don't mean very much. Even Bowyer must believe he did something wrong because he "apologized" to Ryan. And, Nascar will really have a mess on their hand if Bowyer happens to win the chase. Submitted by banzaibonnie on Fri 09/20/2013 - 08:19. Napa was put on the map in our area, by Mikey. How they can dump him for what all teams do,I don\'t know,but the medias hysteria made this a disaster for all.The blatant bribery by penske gets their 3rd. probation this year alone, but all is well for them? I'm disgusted with Nascar, and even more with Napa. Submitted by wizard of id on Fri 09/20/2013 - 08:24.
when you think stp you think petty.When you think purolator you think pearson and the woods after all these yrs.Napa had that with michael. Lowes stands behind Jimmie threw all there cheating scandals and chads skating by the rules.When you walk into lowes it says 5 time champion not 5 time cheater. Any team would have done what mwr did to try and get into the STUPID CHASE! Racing is about skirting the rules as close as you can to get by.Sometimes you get by sometimes you don't.hms has done that from evernhams cars and the t rex they ran to jj and chad now and hms is laughing all the way to the bank and the banquet! If napa was worried about being fair they should cut there high price on there parts that would have been better then pulling mwr's sponsorship in my book! Submitted by Jerry Harkey on Fri 09/20/2013 - 08:43. NASCAR's recent actions is laughable. I cannot recall how many times I have witnessed a car remain on the track for points with a "dropped valve". Or teams in the Cup hunt return wrecked cars on the track with body parts missing. Oh and don’t forget to give that 100%! Submitted by Vince on Fri 09/20/2013 - 09:26. Mike, I can give it to you in a nutshell as to what is wrong with NASCAR and why it takes them so long to make decisions. And the constant inconsistencies in their rulings. It starts at the top. Brian France is responsible. No doubt about it. As long as he's in charge the sport will more and more resemble the WWE. Submitted by sal on Fri 09/20/2013 - 11:52. This is the unintended consequence of the ridiculous 'chase' format. With all the focus on the final 10 races and the mini title, no wonder teams are willing to do whatever it takes, fair or not, to make it in. With so much depending on making the top 10...12...er, 13, in bonus money and TV exposure, this shouldn't come as a surprise to Nascar. Submitted by Dave from Mi on Fri 09/20/2013 - 14:18. Submitted by Bill B on Fri 09/20/2013 - 16:49. I agree with Sal. Without the chase, the opportunity and incentive to play such games goes down to almost zero. Well at least until the last 3 or 4 races but even then it's only two or three guys that might really benefit from a point here or a point there. Of course having a competitor purposely bring out a caution can never be allowed. Submitted by Tony Geinzer on Fri 09/20/2013 - 17:48. I think Brian France really needs to lose his job out of all this. I don't think his decision making is rosey, and I do not find Fox will be around for NASCAR in the Future because the fact the Box Ads are not revered and this is a time where Sponsors and Any..Paying..Jobs.. or Any..Study..Anywhere.. is far from available. MWR is getting exposed as a whale and I doubt Mikey would replace NAPA's Experience (13 Years) or its $$$. Toyota would have to go Latestream for Stoddard and Scott, but, we need to restart Dodge and bring other Japan or Europe Marquees not named Toyota.